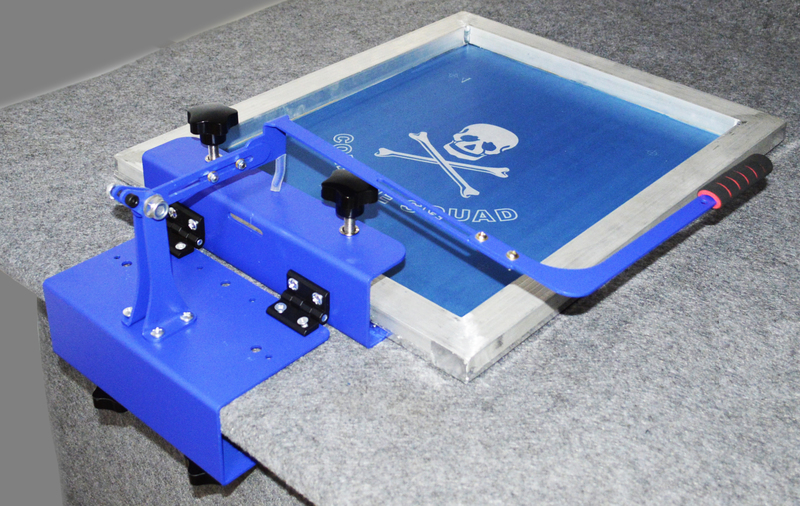 This chuck adopts hook type fixed screen frame, it can be instead of the traditional gravity balance screen frame.When lift up the screen frame,the hook will fall automatically ,then it can fix the screen frame; When put down the screen frame,just lift up the parallel rail gently to print. 1.It can be fixed on the edge of the worktable. 2.It can be fixed on any position of the worktable by screws or bolts. 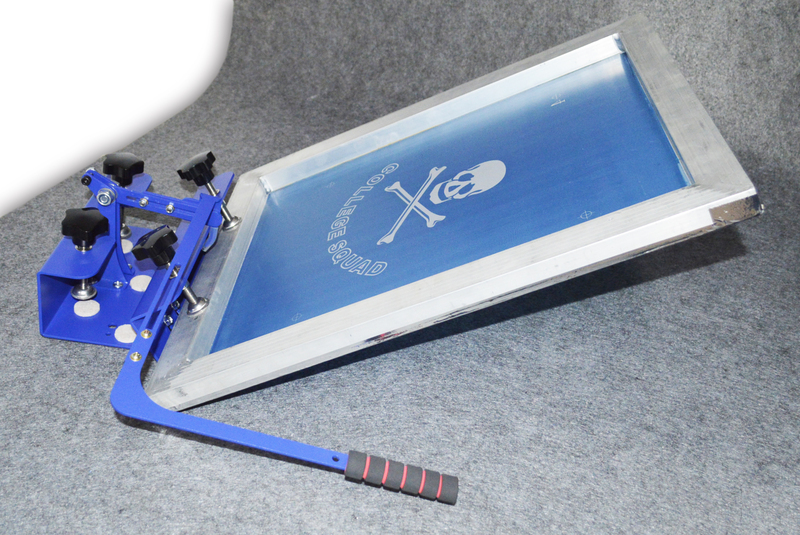 Function 1: adjust the angle when lift up the screen frame: by adjusting the distance of the hook , the angle of the screen frame can be changes between 15-35 degree. 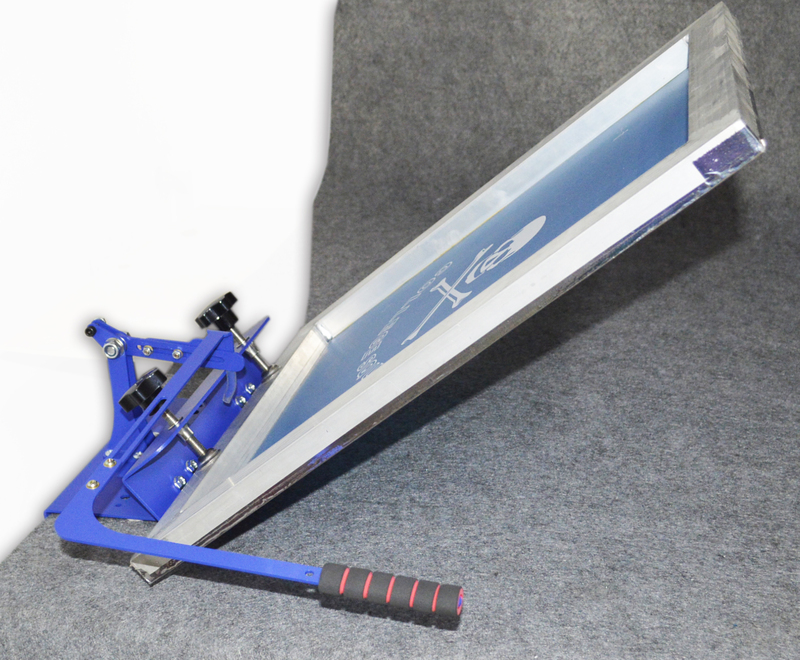 Function 2: lift up the rail to adjust the distance from left to right according to the size of the screen frame, it is suitable for different sizes within 40-60cm from left to right. 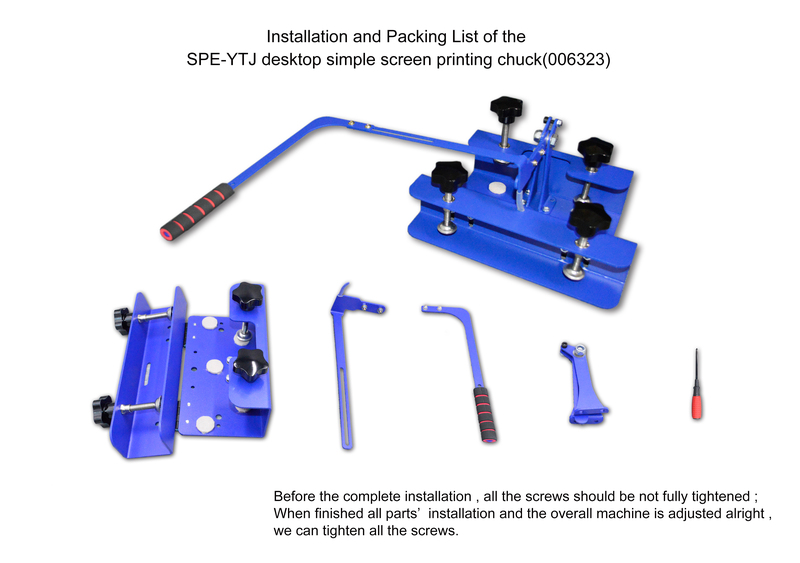 Function 3: when fixed the chuck , the screen frame clamp can be adjusted in 2cm according to the thickness of the substrate.